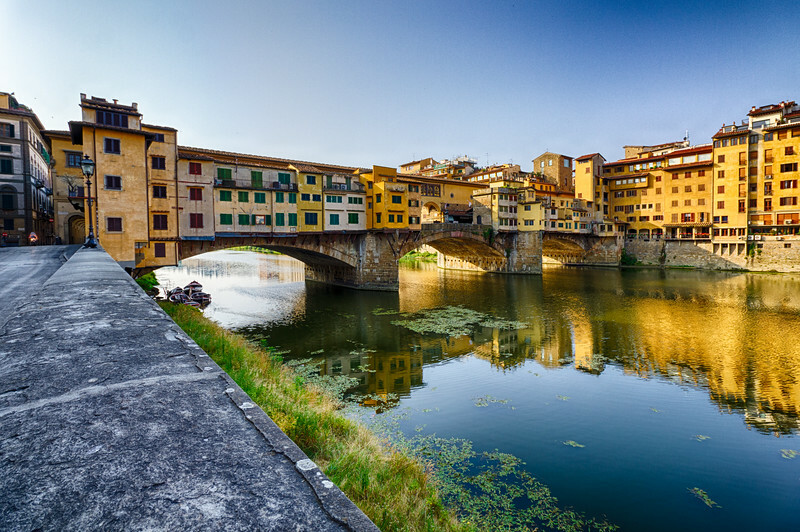 Ponte Vecchio is a beautiful Medieval-era stone bridge whose three arches span the Arno River in Florence, Italy. It was built in the 1300's, and all of the lower level is dedicated to tiny shops selling jewelry, perfumes, souvenirs, etc. Within 30 minutes this scene was bustling...shops were opening, and business was being done...as it had for hundreds of years.